The other week we announced the Cronenberg retrospective playing at Beyond Fest at the end of the month. The festival has announced its regular lineup and it is a joyfully diverse mix of old and new flicks. There are some very cool restoration and 35mm screenings planned for the festival. Anime classic Akira will play at the fest on 35mm, along with Bubba Ho-Tep, The Wicker Man and Flash Gordon. There will be a double dip of Carpenter's Halloween and the newest chapter from David Gordon Green which took TIFF by storm last weekend. Sonny Chiba (SONNY! CHIBA!) will attend a screening of his 1977 flick Doberman Cop. The cast of The Monster Squad will attend a screening of the monster classic. And if you suffer from starving filmmaker syndrome then fear not because the Shudder Theatre is offering free screenings of some very good films. To start there will be a screening of spaghetti western classic Django's new restoration! There are some contemporary hits as well. My favorite scary movie from the past year, Demian Rugna's Terrified, is playing for free. The Wind, The Standoff at Sparrow Creek, Anna and the Apocalypse, Border and Luz are also among the free screenings. There is no reason for you not to attend at least one screening this year when they're just giving them away. 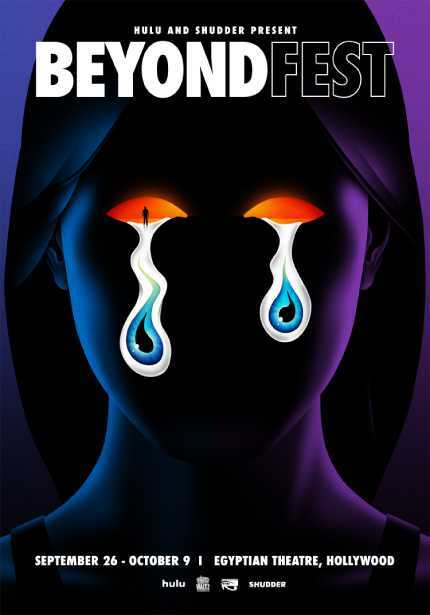 Los Angeles, CA – Friday, September 14, 2018 - Beyond Fest, the highest-attended genre film festival in the US, is excited to announce its complete slate of 2018 programming featuring 46 features and 24 West Coast premieres of cinematic excess. Co-presented by Hulu and Shudder, Beyond Fest returns to Hollywood’s famed Egyptian Theatre for 14 days of cinematic splendor spanning Wednesday, September 26th - Tuesday, October 9th to generate funds for the nonprofit 501c3 American Cinematheque.